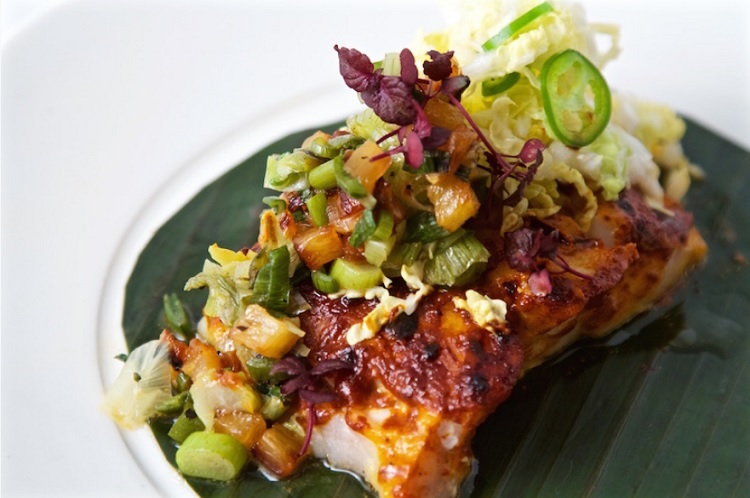 Leña Brava from Chef Rick Bayless is a Baja-inspired, wood-fired seafood restaurant in Chicago’s vibrant and bustling West Loop neighborhood. Leña Brava is one of 370 restaurants participating in Chicago’s Restaurant Week. unique ceviches while the kitchen satisfies with everything cooked on an open hearth and wood-burning oven. 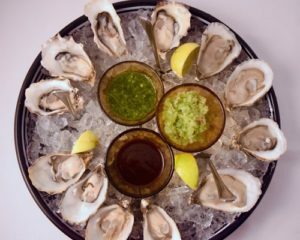 Chef Bayless is known for his oyster dishes where they are shucked to order, served with cucumber-arbol shaved ice, smoky-spicy salsa negra and an herby green-chile adobo. gas line. They even smoke the cream they use in their housemade ice cream. With one of the country’s best selections of mezcal and wines from the much-heralded Valle de Guadalupe, Leña Brava evokes the unique flavors of one of Mexico’s most vibrant regions. Their seafood is sourced from sustainable fisheries and environmentally responsible aquaculture enterprises. The tortillas are handmade from heirloom corn grown in Oaxaca, Mexico. Most people know Rick Bayless from winning the title of Bravo’s Top Chef Masters. 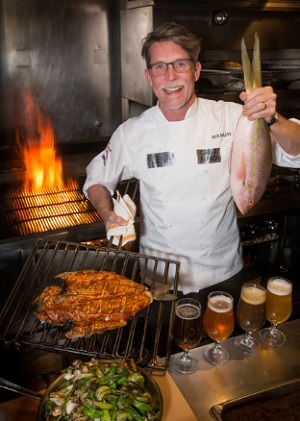 Rick has received a great number of James Beard Award nominations in many categories, and he has won seven. Rick has nine cookbooks some of which have spent time on the New York Times best seller list, earned the Julia Child IACP cookbook of the year award and the James Beard Best International Cookbook of the Year award. Rick and his staff established the Frontera Farmer Foundation to support small Midwestern farms. Each year, grants are awarded to farmers for capital improvements to their family farms, encouraging greater production and profitability. Leña Brava takes reservations for all size parties. To make your reservation, contact the restaurant at 312.733.1975. They take reservations six months in advance, and reservations are recommended. Leña Brava is closed on Mondays.